The Korean War Memorial Museum notes about it’s raison d’être that “since the end of the Korean War many important war records have been disappearing and that generation [that fought in that war] has also been disappearing”. 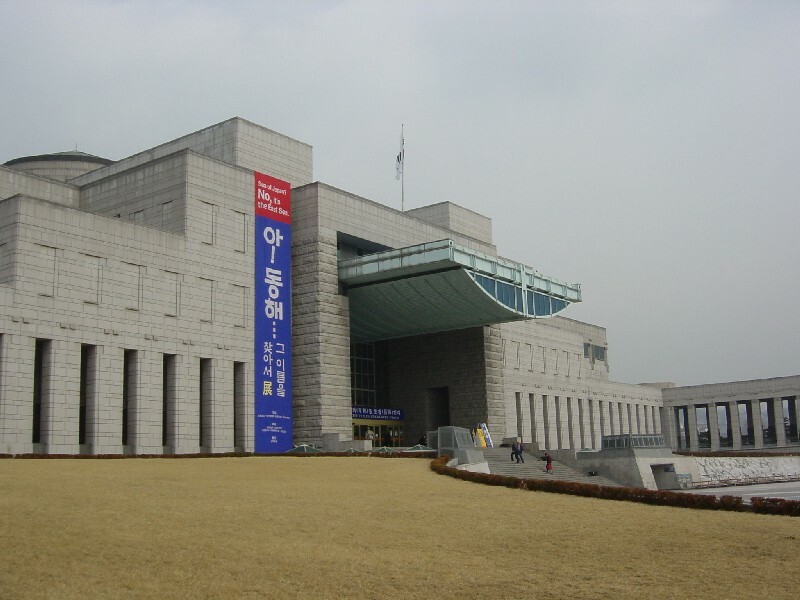 Korea was established through a number of struggles and the War Memorial Museum was proposed and built to pull all this information together. So, the purpose of the Korean War Memorial Museum was for the collection, preservation and exhibition of historical relics for all the wars that Koreans fought in. At the front of the museum, there is also a plaza area that is there to serve as a reminder of the past sacrifices in war. It should also be noted that the museum was built to “commemorate loyal martyrs and their services to the nation.” There are, as a result, a couple of areas that most westerners would consider a little “heroic” in their appearance and what is displayed. Follow this link to read more about the museum.